Change4Life launches sugar tracking app, BBC Three confuses Twitter, and Virgin Active emojis motivate gym goers across social media. 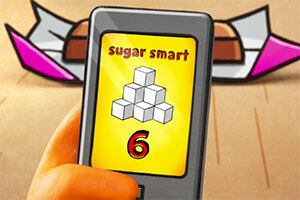 Public Health England (PHE) has created an app that allows parents to monitor the sugar intake of their children, after finding most four-to-10-year-olds consume 22kg of sugar a year (the weight of an average five-year-old). Ben Bold and Shona Ghosh on Marketing magazine explain the app reminds parents to pick healthier options for their children by revealing the sugar content of everyday foods and drinks. It can scan up 75,000 products and will be updated with new data every two months. BBC Three has changed its logo for the first time in eight years, meeting a world of Snapchat, Twitter and Instagram head on with a bold pink "BBC II!" 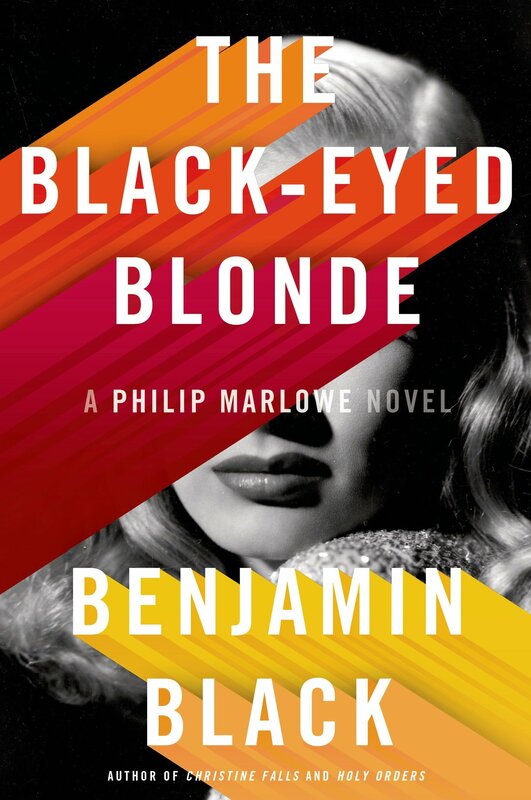 identity, writes Shona Ghosh for Marketing. The new logo went live on Twitter this morning, where BBC Three fans have been pointing out the "II!" imagery doesn’t equate to three. The BBC’s head of marketing, Nikki Carr, defended the logo as "bold" and "something that looks forward". What is most striking is the new logo and the fact it doesn’t actually say three. It’s easy to belittle the importance a logo has in supporting a brand, and I'm sure the usual critics will have their say – 'It looks like Adidas', 'it looks like a hamburger menu icon', 'it doesn’t even say three', 'are they Roman numerals?' – but If I'm being honest, I’m not worried. Carr went on to reference the Beeb's comedy TV series about rebranding the BBC. "Thanks to W1A," she said, "we're cursed at the BBC when it comes to marketing". 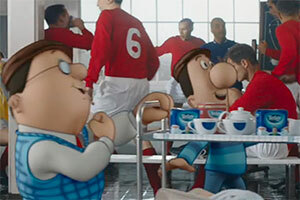 Tetley Tea has unveiled a £10 million campaign that recreates a selection of famous scenes in British history from 1837, when the business was founded, to more recent times. The spot took five months to produce and was created using Legacy and Softimage XS technology, which was used in the movie The Hobbit. It goes live on TV from Friday 8 January. The work will also feature across social media, digital, video on demand, outdoor and print. 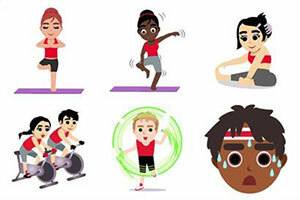 Virgin Active's new app is offering struggling fitness fans a little New Year #Emojivation. The app contains 33 emojies that can be shared across social media to encourage those who have pledged to get in shape to stick to their resolutions. Campaign's Gurjit Degun reports the emojies have been created to help gym goers express themselves online. They depict a range of exercises such as squats, burpees and the yoga tree pose, plus the different classes offered by the chain. The work was created by Swyft Media as part of Virgin Active’s 'We’ve Got a Workout For That' campaign, which you can watch below. If you've downloaded the app and need a little inspiration to get you rolling, take a look back at Andy Murray’s wedding tweet. We could have done with this in our stocking. 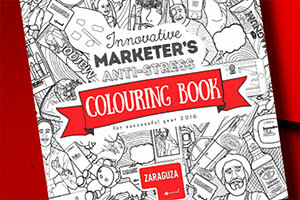 2015 was a busy year and 2016 is already shaping up to be a belter, so how better to unwind after a long day at the office than with the Innovative Marketer's Anti-Stress Colouring BookTM. Innovative marketers everywhere can choose to colour in a selection of scenes from the advertising world. Included in the book are Facebook clans and buzzwords to never scanned QR codes, the Creation of Selfie and references to successful campaigns. Is there something you’d like us to share in 18:05? Email susan.billinge@haymarket.com with the details. Which chief executive listens to Slayer before a big pitch?